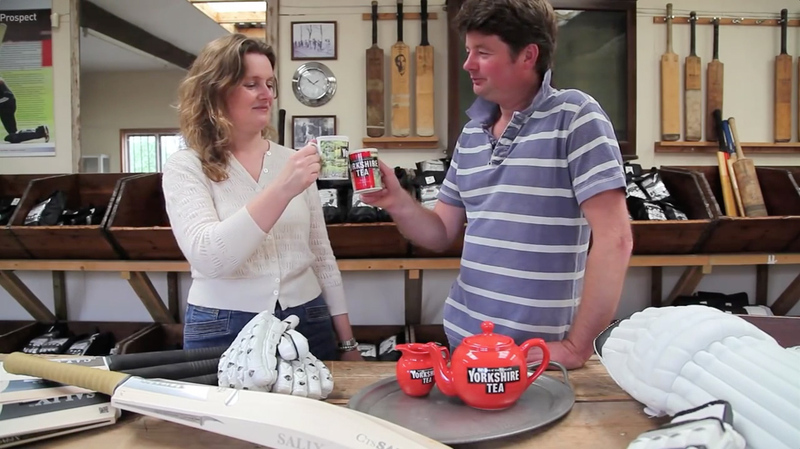 This is a videoblog I produced, directed, shot and edited for Yorkshire Tea to feature on their Yorkshire Tea BrewTube Channel and be promoted via Facebook and Twitter. It was shot at the Salix Cricket Bat Company in a village outside Maidstone, Kent. The intention was to not only promote a Facebook hosted competition, but to also highlight how Yorkshire Tea and Salix believe it is essential that you do things properly to make quality products. Shot in one day (including travel to Kent) in 1080 HD video with two cameras both operated by myself. Edited in Final Cut. Last count: 1,700+ hits on BrewTube.